When I started back on Weight Watchers this year, I noticed that Instagram was a great resource for low point meal ideas. And one thing that kept popping up was Chick-fil-A salads and their Diet Lemonade. Having never had their lemonade before, I had to try it. Can you say love at first sip? Oh. Em. Gee. I now go and grab just diet lemonade at various points during the day. It’s become an obsession. And the recipe is made with three ingredients so easy peasy to make it at home on Sunday’s when they are closed. This is also how my mom used to make lemonade for us when we were sick – well, with real sugar and heated up. It works and is still something I crave when sick. At the grocery store the other day I saw an ad for Lemonade Day. I love going to different stands around the city on Lemonade Day to support the kids in their little stands. It’s a different day around the country so be sure and check for your local day. If the kids were small, this is the recipe I would make for their stands. Maybe at 15 they could still have a stand? Place lemon juice, Splenda and water in a pitcher. Mix together with a wooden spoon or spatula. Note: taste the lemonade after adding a cup of Splenda. If you want it sweeter, add another 1/4 cup and stir. 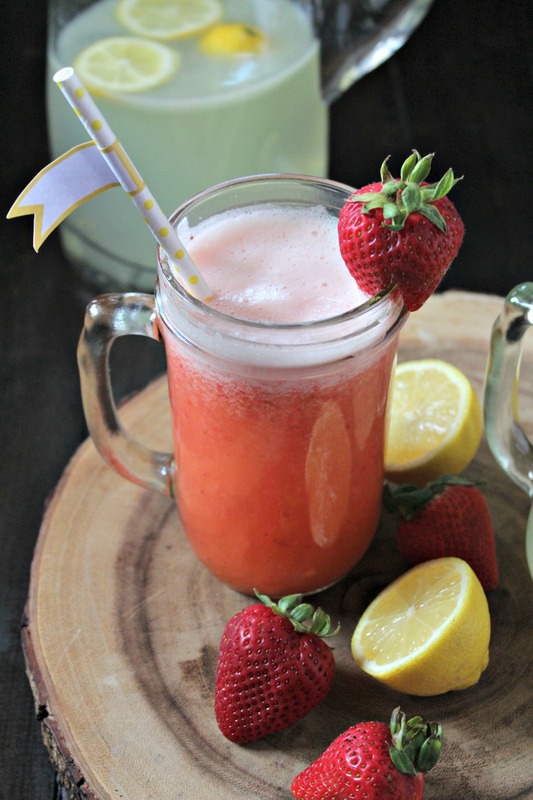 If you would like to make into strawberry lemonade, cut off leaves of about ten strawberries and place in a blender. 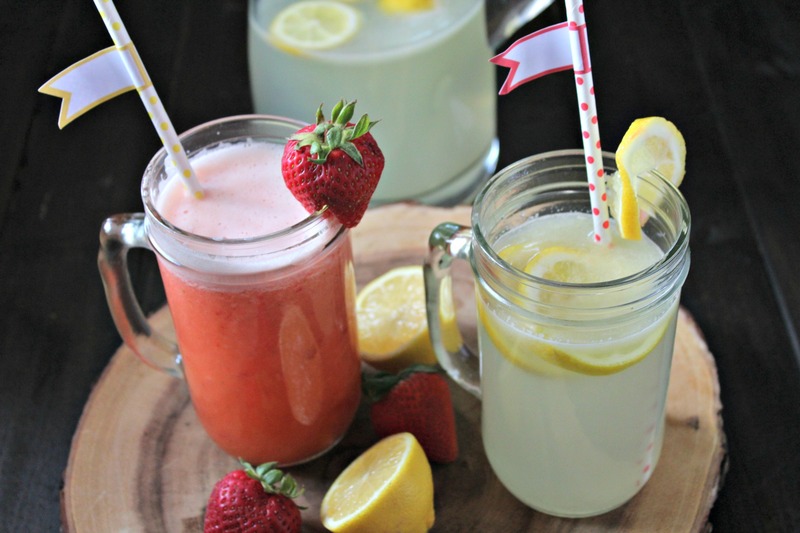 Add lemonade and mix together in blender to combine. 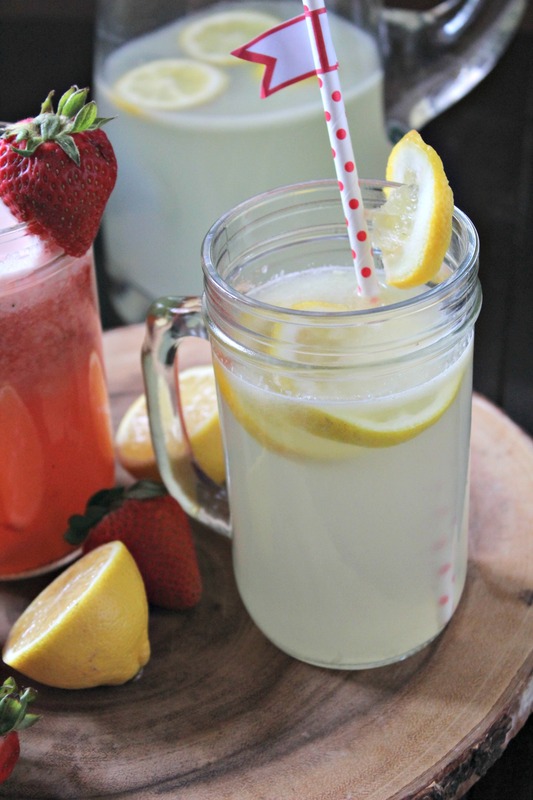 If you want to make it by the glass, I added two strawberries per mason jar glass of lemonade.